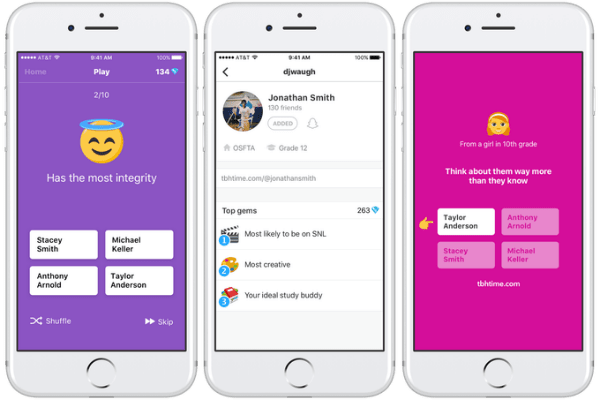 In order to reach the teenagers, Facebook acquires tbh, an app launched earlier this year, but which appears to be a great success amongst teenagers. The good news for tbh is that they will continue developing as an independent brand (as Instagram and Whatsapp do), instead of being integrated with Facebook. Despite the fact that it has been launched in August and in several US states, the app has been downloaded 5 million times within just 9 weeks and it has 2,5 million daily users. How does this app work? 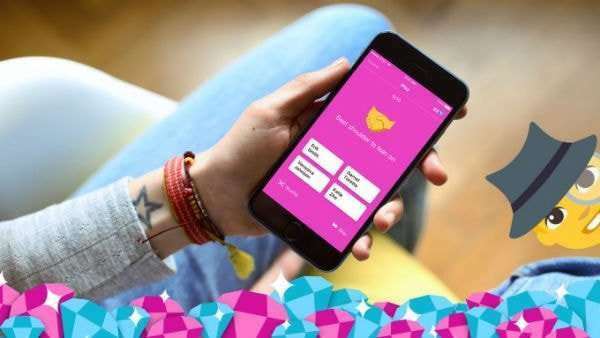 It allows users to ask questions and then friends respond anonymously, then the results of the poll come as compliments, as the main scope of the app is to send kind-hearted messages to the ones surrounding you, even if it is anonymous. As Nikita Bier, tbh co-founder says about the app: “If we’re improving the mental health of million teens, that’s a success for us”. This acquisition is a great evolving point for tbh, as it gets several resources from Facebook: from engineering, cash, localization, moderation, and anti-spam. Despite the fact that the four co-founders will run tbh as a stand-alone app, they will join Menlo Park and have Facebook emails, not stand-alone as Instagram and Whatsapp. After seeing the traction tbh has in the first weeks from the release, the major concern of its founders was how to keep users engaged, as they could only answer a limited amount of questions. So early this month they have introduced the direct messaging feature. By this, whoever chose you as an answer to a poll can reveal his or her identity and the chat can continue. A list of new features was hard to be compiled by a team of only 4, so the Facebook input will bring value to what the app already has and will ensure its development and help it scale maybe even worldwide. The app will still be available for free download on both iOS and Android. We can say that tbh’s founders found an innovative way of interaction that eliminates typing. So while you’re on the run, you can still interact with your friends. But introducing the DMs, the app got to a new level. The funny part is that tbh founders were expecting Facebook to copy the app, but it seems they have hit the jackpot. We are curious how it will evolve after Facebook’s umbrella. Will it have Instagram’s and WhatsApp’s story? See also: How can I see who watched my Facebook live?